Finally, the article will also benefit those who want to have an idea of user bands & index set up for Xtraview on the DStv Explora. What is DStv Smart LNB? Installing the Dish for DStv Explora and connecting it to the decoder. The DStv Explora is the Go-to decoder of DStv. It offers what other decoders by multichoice don’t offer. Why just watch TV when you and your family can experience every picture-perfect moment in crystal clear HD? The DStv Explora high-definition viewing will push you to the edge of your seat and make you feel like you’re right in the middle of the action. Among others, you can enjoy the following features on the Explora. 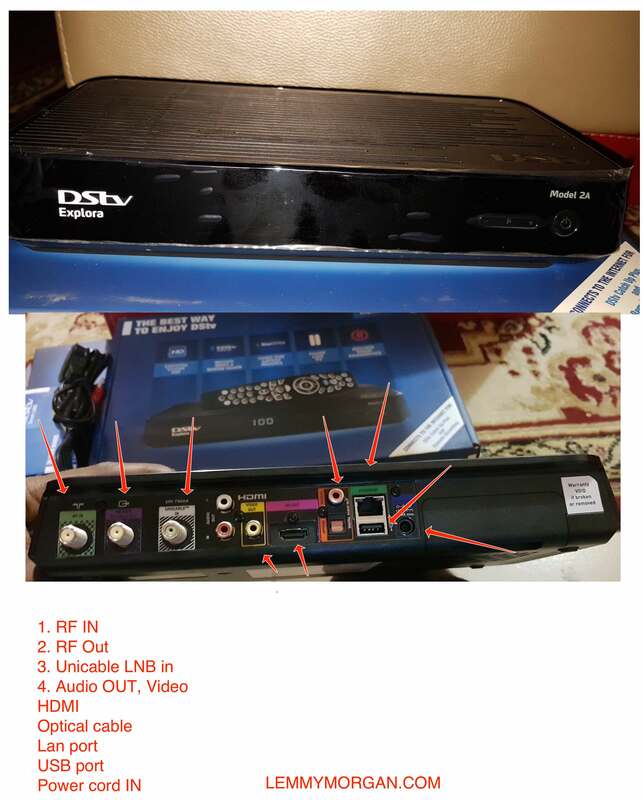 Full use of the DStv Explora (including connection to one decoder in XtraView) requires payment of a monthly Access Fee. The connection of the third decoder in XtraView requires payment of an additional monthly Access Fee. 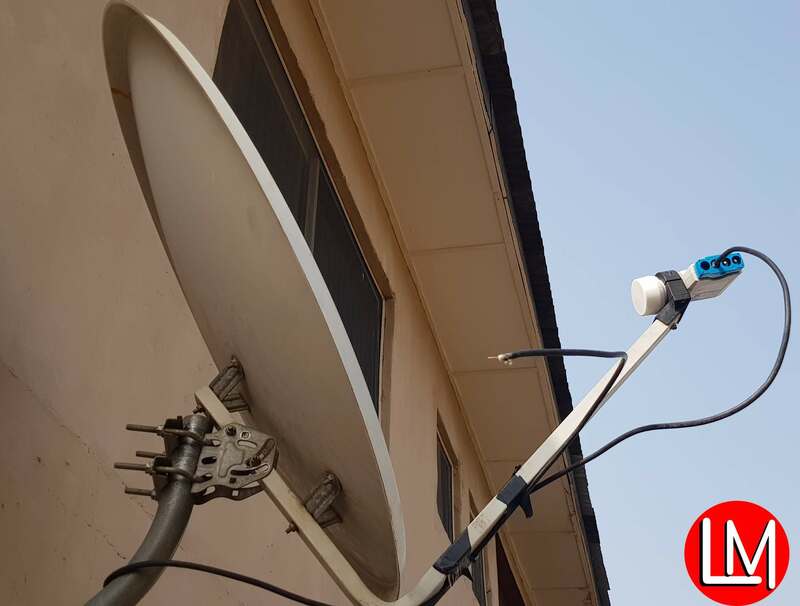 The DStv Smart LNB has been designed and manufactured for DStv installations where customers make use of their own satellite dish. It is not generally suitable for multiple unit dwellings (like complexes and apartments) or commercial customers. It combines the features of a DStv Switch installation and is recommended for all DStv Explora and most XtraView installations. MultiChoice retired the Multi-switch/DStv Switch in favour of the Smart LNB. The Smart LNB is capable of receiving high band transmissions from the newly launched MultiChoice satellite. On a sad note, older decoder models i.e. Dual View Decoder and the SD PVR are not capable of decoding these high band transmissions even when hooked to the Smart LNB. Basically, DStv’s Smart LNB ought to save you some money by reducing the eventual cable run at installation. On top of that, the connection is done straight from the LNB to various rooms in the house, unlike the DStv Switch. What’s more, you don’t incur extra costs to get hooked on that XtraView. This article will be divided into three steps. The Dish installation, the decoder installation and finally a hint about account migration. 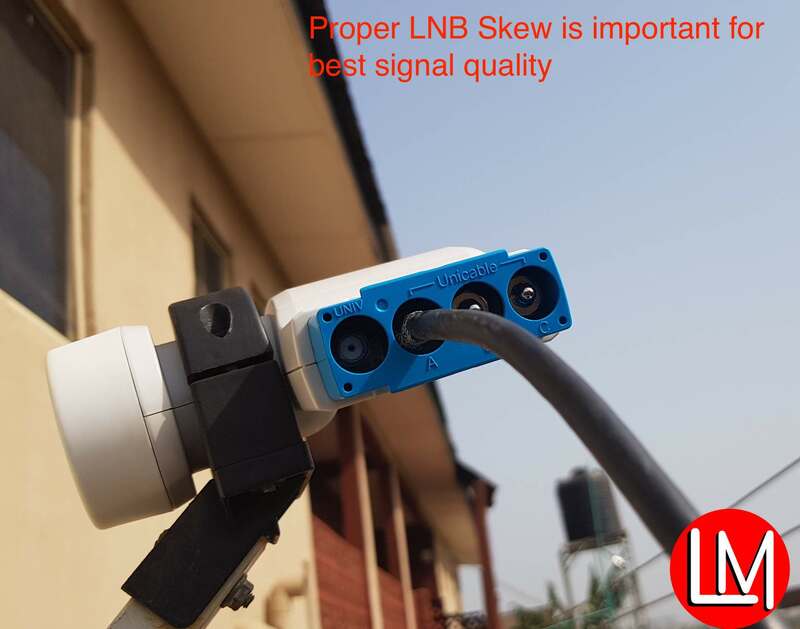 First off, you need the Installation kit which consists of the Dish, LNB/coaxial cable, F-connectors, tape, hammer, a ladder a sat-finder/tracker and so on. Secondly, you need the Explora and the Smart LNB. I will advise you to get the Explora 2 as it works with DStv smart LNB without the need for a heartbeat cable and a diplexer. Next, prepare your mind to pay for a subscription if you are a new customer. If you are an existing customer, and you want to continue using your existing subscription, don’t forget to tell them at the office. In addition, if you want to do PVR or and xtraview, you will need to pay at the point of purchase. You need additional knowledge to be able to install xtraview on your decoder. Also, you need an additional decoder. Point your DStv dish(90cm) to Eutelsat 36B 36e. If you can’t do this by yourself, call a professional installer. 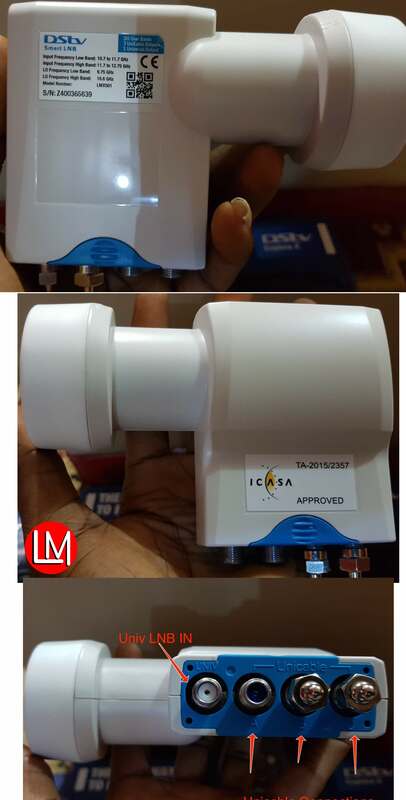 If you installed a dish facing DStv with a single solution universal LNB, please swap your existing LNB with the DStv SLNB. Noteworthy, your existing non-unicable LNB will not work with Explora 2 esp. Skew your LNB for maximum signal reception. Set your Smart LNB to 4 or 5 o clock as shown in the picture below. 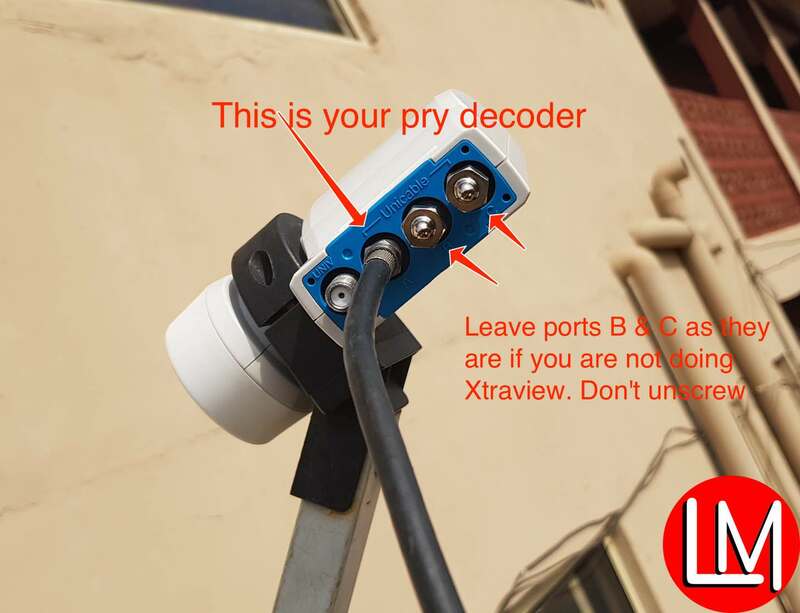 Next, you need to connect the other end of your cable to the unicable LNB IN port at the back of your explora decoder. The next step is the within Decoder settings/installation wizard. Hey I’m in Limpopo and the explora 2 signal is to Low we can’t get the right settings. Help. Lemmy, do you have advice for an Explora 2 decoder that has a disk problem ? Decoder still works, but no PVR functions because of the disk failure. When decoder asked to re-format I did do the format, but did not help. Unsure if the disk is completely dead, or if there is a way to format it and try again. Is there anything else I can try ? Thanks for your website. Very good information here. Thanks for the information. please how do i get to link two explora decoders, the old and the new 2A with the old being the primary. in addition, what settings would each each decoder use. thanks. Please can I get any software that I can lock my files in, on my Samsung tap 4 phone. @Gyamfi: what about c band installation that you are interested in?